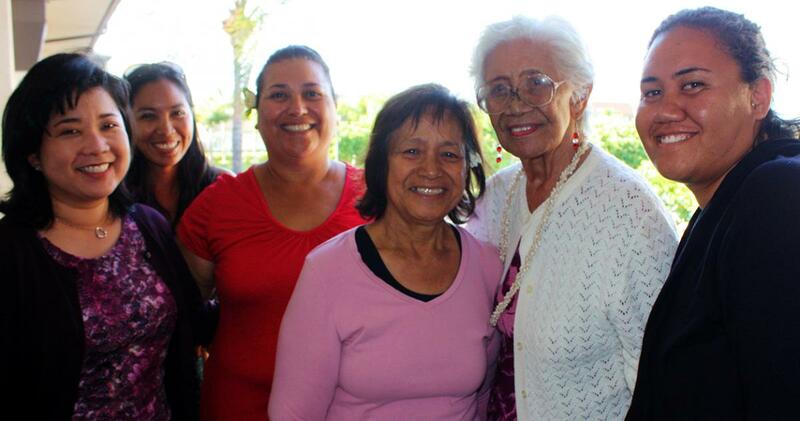 Left to right, Sharene Saito Tam, Lisa Enanoria, Kau‘i Serrao, Aunty Mary Serrao, Aunty Arline Eaton, and Ku‘uwainani Eaton. Director Frances Rivero is not shown. The vision for Hoakalei Cultural Foundation developed by Aunty Arline Eaton and Aunty Mary Serrao is being carried forward today by their descendants, including Aunty Arline's granddaughter, Ku‘uwainani Eaton, and Aunty Mary's daughter, Kau‘i Serrao. The Foundation is supported in part,by Haseko ‘Ewa, Inc. through its representatives, Sharene Saito Tam and Lisa Enanoria. Kepā and Onaona Maly are shown here at a historic preserve they helped to develop at Kaunolū, Lāna‘i. The appointment in 2012 of Kepā Maly as Executive Director of Hoakalei Cultural Foundation ushered in a period of tremendous accomplishment. Working with his wife, Onaona Pomroy Maly, Kepā began to implement the preservation plan for Kauhale Preserve. His efforts resulted in the removal of invasive vegetation at the preserve, installation of trails and irrigation, planting of native vegetation, and development of a rich corpus of documents and oral traditions that record the history of Honouliuli. Kepā and Onaona returned to their home island of Lāna‘i in 2013. Kimberly Kalama currently oversees daily program activities of the Hoakalei Cultural Foundation. 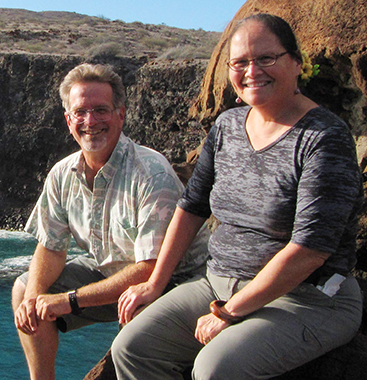 Her work has been instrumental in development of the Kauhale Preserve. 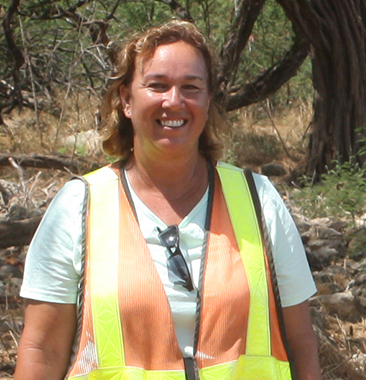 Kim also serves as the archaeological monitor for development activities at Hoakalei.